The Limestone County Child Nutrition Program provides a food service program under the USDA National School Lunch Program. At West Limestone High School, a breakfast and lunch program are provided. Menu available online. Applications for free and reduced-price meals are available at each school. Families who receive food stamps automatically receive free meals for students. Thank you for your support in the Child Nutrition Program. What is Meal Viewer? 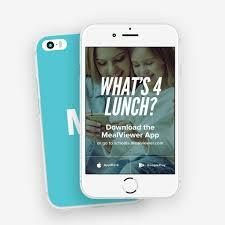 MV is an app that allows you to see your school menu and calculate the nutritional value of each meal.